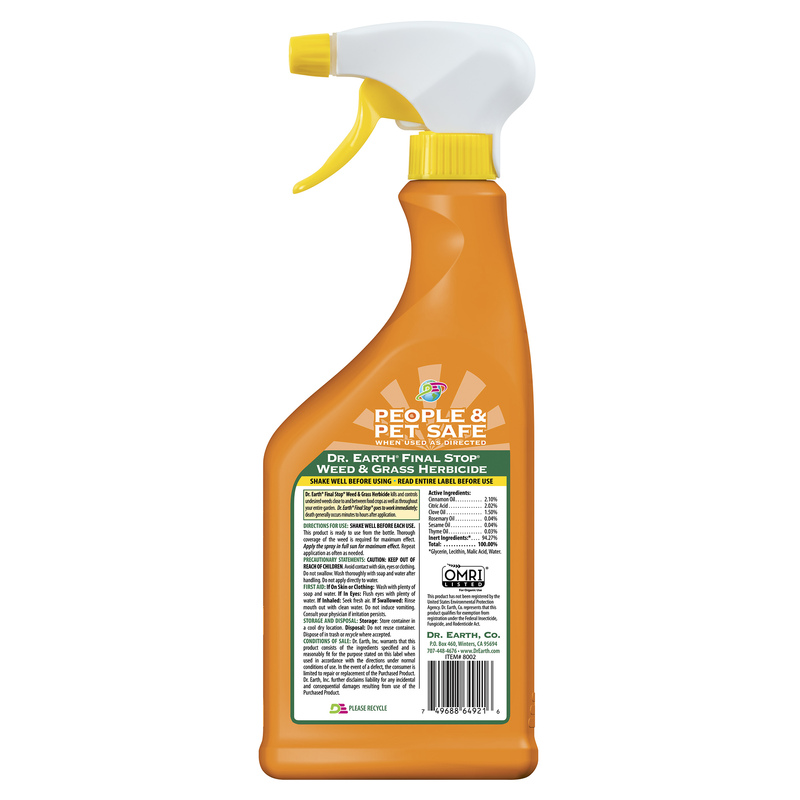 Final Stop® Weed & Grass Herbicide Killer Spray is a herbicide that produces remarkable results, because all the ingredients are formulated to perform different tasks and functions synergistically, in a controlled fashion. Our unique combination of natural ingredients works to kill immediately. OMRI Listed with peace of mind that you are using a safe product around your pets and family. People & Pet Safe – no synthetic chemicals or toxic ingredients.